Despite depressed market conditions, forward-thinking companies, whether embroiled in crypto or not, have begun a newfound push for the adoption of this innovation. The most recent mainstream firm to have purportedly joined the fray is Kakao, a South Korean social media and technology heavyweight with a clientele of millions. Media outlet Financial News (FnNews) reports that the 44 million users of Kakao’s flagship product, popular messaging platform KakaoTalk, will soon be directly exposed to digital assets, like Bitcoin. 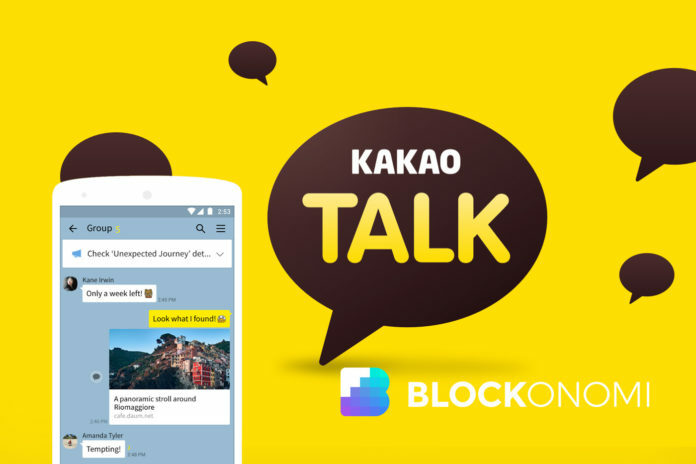 Speaking to the news portal, an array of industry insiders, who are purportedly working with the Jeju-based company, remarked that KakaoTalk will see use as a “crypto wallet,” giving millions of South Koreans the ability to interact with an array of blockchain ecosystems. The FnNews report claims that utilizing the application will be as easy as sending a message, allowing users to send or request for cryptocurrencies with a few clicks, thus reducing the barrier to entry. Interestingly, an executive of Kakao couldn’t deny or confirm the rumors. However, the unnamed representative did note that his company is looking into blockchain technologies, making it somewhat logical to assume that Kakao has a cryptocurrency storage prototype at the very minimum. While news regarding KakaoTalk’s cryptocurrency wallet is hearsay, what is confirmed is the firm’s up-and-coming blockchain platform, which has been named Klaytn. Per a report from Bloomberg, Ground X Corp, the company’s blockchain arm, has just publicly announced the closure of a $90 million fundraise, with IDG Capital, Crescendo Equity, among others contributing to the hefty cheque. 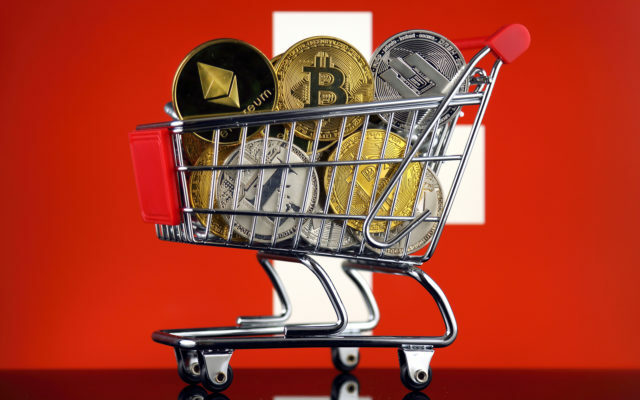 The branch purportedly raised this nearly nine-digit sum in classic crypto startup fashion, through a private coin offering, and plans to raise an equal amount over the coming months. The $180 million that Ground X could receive will be allocated to Klaytn’s development efforts, as the company intends to launch the platform by June. Klaytn, for those who missed the memo, will start its life as a platform for a minimum of 26 decentralized third-party applications, which will fit into categories from games to travel apps. Gaming company Wemade, streaming platform Watcha, and travel agency Zanadu are among the preeminent startups expected to be the first to issue offerings on the ledger. Ground X’s chief executive, Jason Han, intends to see Klaytn scale to support 10 million users over the next 12 months, bringing Web 3.0 closer to reality slowly but surely. Whether Kakao goes ahead with integrating a cryptocurrency wallet or not, the fact that it is seriously looking at this space only underscores the fact that if adoption isn’t already here, it is right around the corner. Samsung, another South Korean technology giant, was recently revealed to have integrated a product called “Blockchain Keystore” into its Samsung S10 lineup, which launched last month to widespread hype. While a debate rages on about the specifics of the offering, with some claiming that it stores Bitcoin and others noting that it works much like an Ethereum-centric DApp browser, the impact that Keystore will have on adoption has been gauged as monumental. Ryan Sean Adams, the founder of Mythos Capital, recently put it best on Twitter, when he explained that sales of S10 devices in 2019 (a forecasted 40 million units) will be 20 times more than the number of Ledger and Trezor cold storage devices ever sold. Facebook is also looking to bring blockchain mainstream, as the Silicon Valley darling explores what the public knows as FBCoin, a multi-faceted stablecoin meant to be used for global transfers of values through a social media ecosystem. While details about the shadowed project are understandably scant, Barclays analyst Ross Sandler estimates that if all goes well for the company, FBCoin could be used by upwards of three billion users. Although FBCoin likely won’t be related to Bitcoin in any way, pundits argue that the centralized digital asset will be a “gateway drug,” if you will, into the realm of legitimate, decentralized cryptocurrencies. Hence why so many advocates for this technology are more than convinced that in a few years’ time, everybody and their mother will be using Bitcoin, Ethereum, or what have you in their day-to-day. The post Following Samsung’s Lead, Tech Giant Kakao May Introduce Millions To Crypto appeared first on Blockonomi.